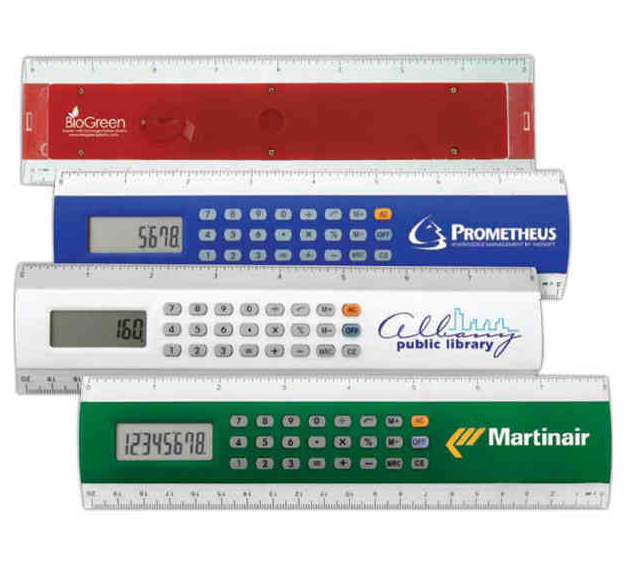 BioGreen - Thin biodegradable plastic ruler calculator. 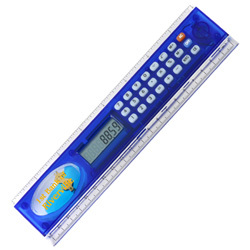 8" x 2"
Thin biodegradable plastic ruler calculator with 8 digit screen measures both inches and centimeters. Powered with button batteries. BioGreen products are made from environmentally friendly plastic which will biodegrade in a regular landfill within 18 - 60 months. BioGreen products are perfect for any Eco friendly program. We can make just about any plastic item with BioGreen. Actual size 8" x 2". Minimum quantity depends on number of colors in the imprint, please refer to minimums. Specifications: •Item Size: 2" x 8-3/8" x 5/8" •Materials: Packaging Info: •Qty/box: 10 •Weight/box: 26 lbs. •Box Size: 19" x 10" x 13"
Imprint Location Imprint Area Max Colors aqua bubble 1.25" x 0.5" 1 end, opposite from bubble 0.5" x 0.75"